If you’ve ever seen pictures of rams butting heads, they may have been adult male Texas Dall Sheep. Here at V-Bharre Hunting Ranch, we’ve watched them during the August, September rutting season, and believe us, you don’t want to get between two males battling for a lady. Texas Dall Sheep are a hybrid of the Corsicana and Mouflon sheep. They were cross-bred for their gorgeous white coat, their strength, and their health. They grow to be 30”-38” long from the shoulder and can weigh anywhere from 110 to 160 pounds. Lots of farmers use them as natural lawnmowers because they’ll eat all the weeds and grass and fertilize the place at the same time. However, Texas Dall Sheep are prized by exotic hunters for their extraordinary trophy horns. They are enormous rounded horns that curve both downwards and outwards with a tan-like color and can grow up to 43” in length. Bagging one of these beauties for mounting is a trophy hunter’s dream. If you’d like to hang one of these trophies on your wall, you need to call us now and find out about our great Texas Dall Sheep hunting packages. You will love going Texas Dall sheep hunting at our place, not only for the trophy, but also for the great amenities you’ll get. 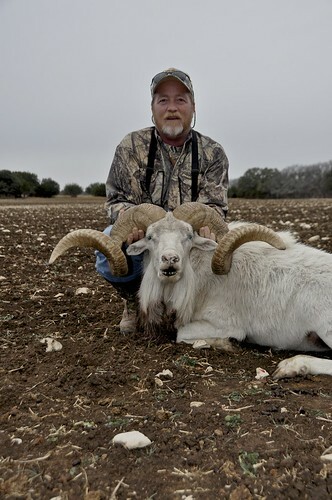 BEST TIME FOR TEXAS DALL SHEEP HUNTING – OCTOBER THROUGH APRIL, BUT CAN BE HUNTED YEAR ROUND. 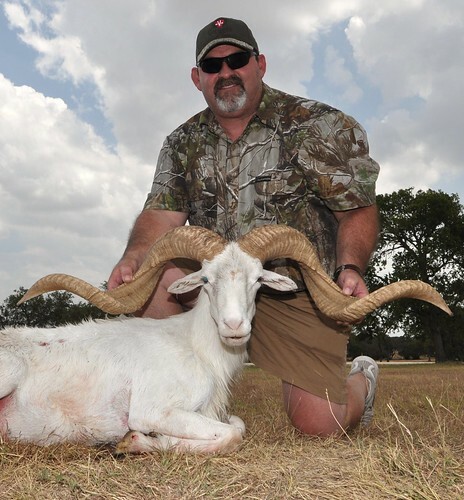 Contact us now for more information on Texas Dall Sheep Hunting packages at V-Bharre ranch!